Parents - Arthur D and Mary J Lough of Whitby. News reached Chippenham on Fri that the Rev Edwin Ernest H Lough who for the past 3 years has been the curate of the parish church and who a few months ago joined the RAMC being stationed at Blackpool and at Masham Camp, Ripon has passed away. 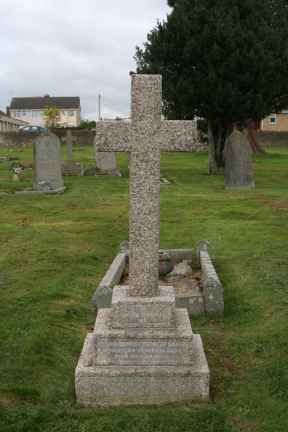 Mr Lough who was the son of the rector of Aust, Glos, joined the Army at the same time as the Rev H Crossland, curate of St Pauls and the 2 were in service together. Both, a short time ago, contracted influenza. Mr Crossland got better and has returned to Chippenham but Mr Lough succumbed, passing away on Friday at the age of 30. 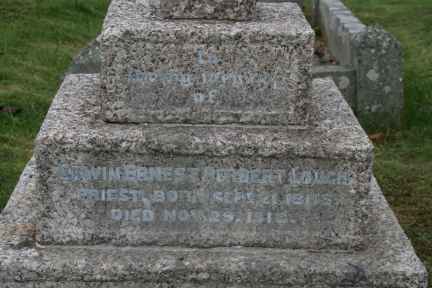 He had previously held curacies at Bitton and Swindon and had been at Chiseldon Camp. He leaves a widow and 2 young children. The body was brought back to Chippenham and on Wednesday afternoon was interred at the cemetery being accorded Military honours. The cortege started from the late residence of the deceased, The Parsonage, Sheldon Road.